We will make every effort to accommodate special requests. Please call us at (252) 633-4054 to arrange for an after hours appointment. Steve and Doris bought the business in 1994 from Pat Mercer. We started almost immediately upgrading the operating procedures. We automated the inventory process, bought computerized mat cutting equipment, and added point of sale software. We were the first in the area to offer computerized mat cutting. We established early on that we were going to offer acid free mats and conservation quality framing as our standard practice. Custom framing does not have to be expensive and art work can be carefully preserved with a few correct decisions. Let us help you select the best mat and frame choices for your art work. We specialize in preserving your precious memories. We use "state of the art" framing techniques. 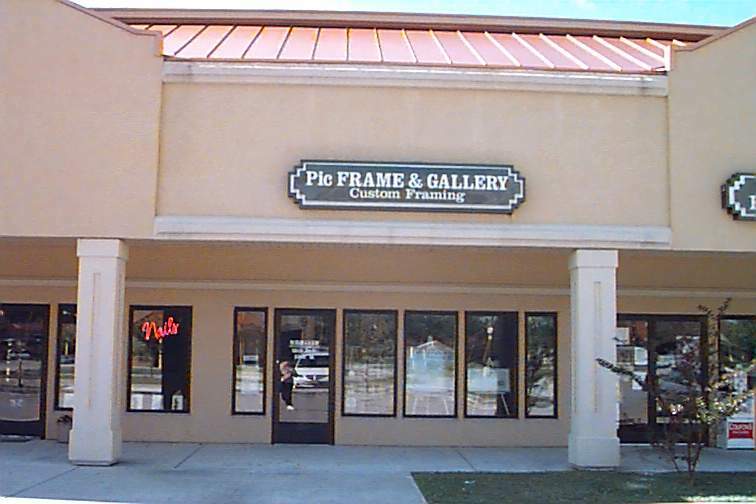 Pic Frame has been serving the New Bern community for over twenty-five years. Your art work remains on site and all work is performed here by our trained technicians. Copyright 2012 Pic Frame & Gallery. All rights reserved.